Yes, I swam around a castle. Perhaps technically a fort I suppose, Le Fort La Reine. But in either case, no, it wasn’t in a moat (or a boat). 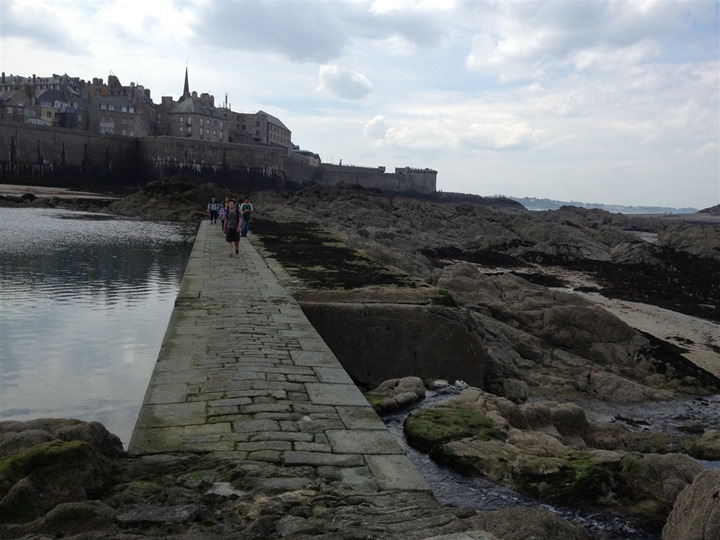 When we arrived in Saint-Malo I figured I’d be able to get at least a swim or two in. After all, it was right on the beach – a nice super-long sandy beach. Perfect for swimming any distance I pleased. And then the tide came in. A lot. See, the tide here fluctuates roughly 10 meters per day – in height. Which translates to about 30 feet in vertical elevation. 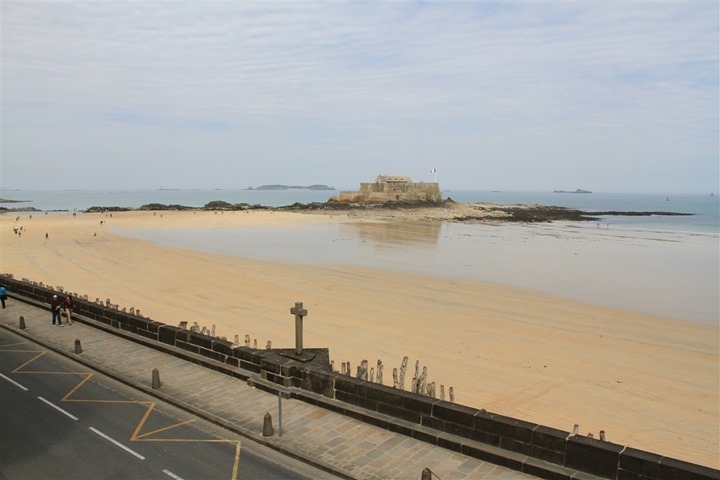 To put that into perspective, here it is at almost low-tide, and then at almost high tide shot from our hotel window. I say almost because the tide actually goes out further than my first shot, it’s just when I happened to take it. And my second shot, it goes up a bit higher as to cover up a little bit more of the rocks there. Again, just when I happened to take it. 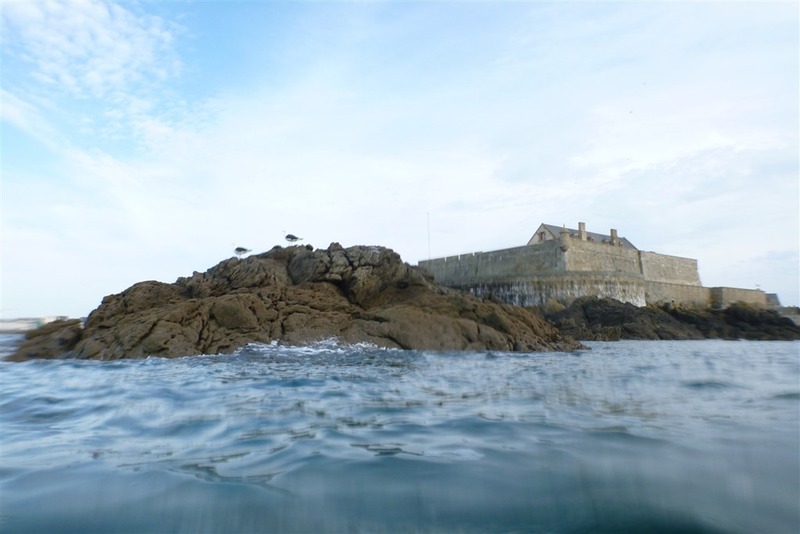 As you can see, swimming around the fort is an impossibility at low tide, so I looked up the tide tables and found that for this weekend high-tide was roughly around 7PM and 7AM each day, and low-tide around 1PM/1AM. Given I had no desire to wake up at 7AM on our vacation, I went with 7PM instead. The Girl wasn’t terribly excited about the prospect of me going out swimming around a castle, but I helped a bit in that area by bringing the Safer Swimmer swimming buoy with me. I bought it last summer, and have used it in cases where I wanted to be seen. The whole thing folds up to the size of a pair of jeans and just fits in my wetsuit bag. In fact, I had put everything together for a post for it, but apparently never wrote/published it. Hmm…odd. What’s cool about it is that you can store stuff inside it and it’ll keep it dry; I have my sandals in there, and a t-shirt and shorts. 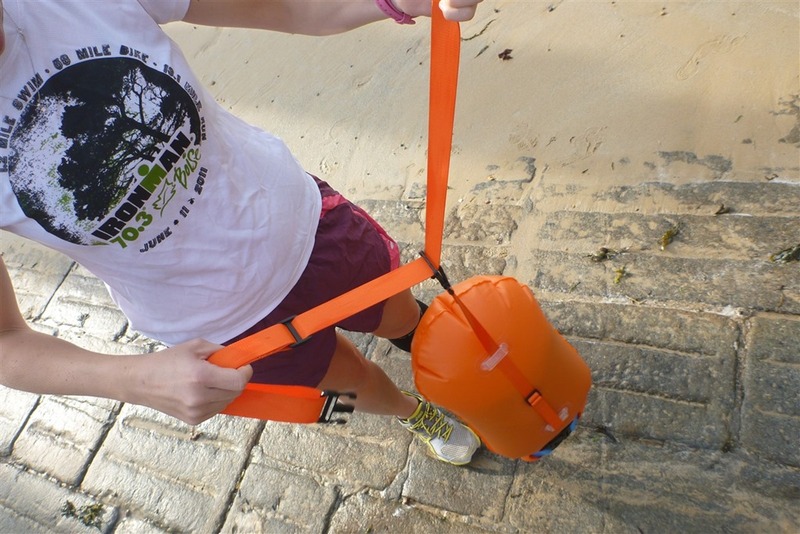 Just a standard waterproof bag that allows you to quickly inflate it. 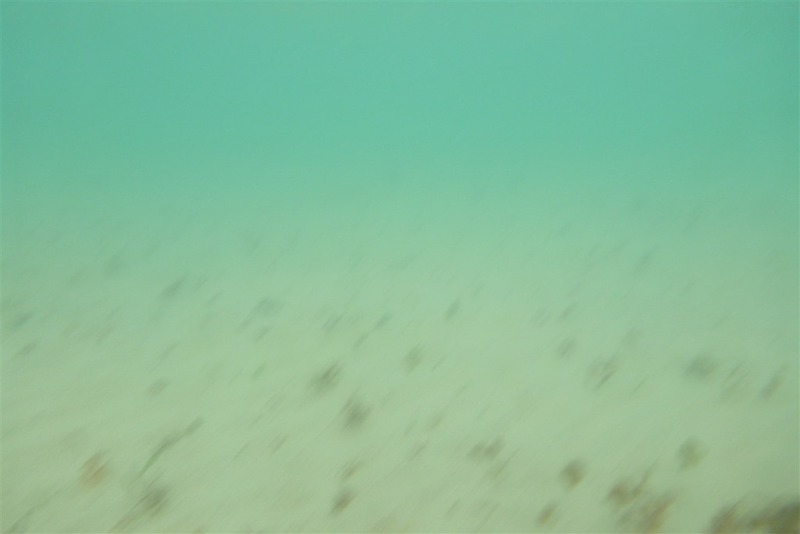 It then just skims along the surface, with virtually no resistance. While The Girl was packing up my little bag (I would finish elsewhere, so I wanted my stuff with me), I got some of my test watches ready. 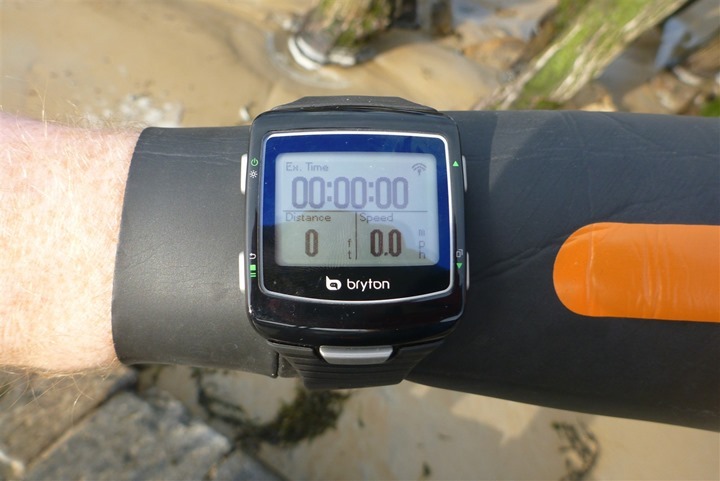 In this case, I was mostly testing out the Bryton Cardio 60 multisport watch for its openwater swim capabilities. However, because I was testing that, I figured I might as well also get some more data on the Suunto Ambit2 in openwater mode. And, since I had that, I might as well see how the Garmin FR910XT compares. And ya know, since I had all of these on my wrists, I really needed some ‘true’ number as a baseline to compare it to. So I stashed the only other GPS that I had with me – the Garmin FR610 – and stuck it in a plastic baggie in my swimcap. It’s technically waterproofed to 1 meter deep for 30 minutes (IPX7), but I really didn’t want to kill it. The water was a bit chilly. I’m not terribly sure how chilly, but certainly not as cold as Seattle two weeks ago. Maybe 60°F? Not sure. Wasn’t exactly warm lake water. I pretty much just aimed for the fort and kept on sighting my way there. 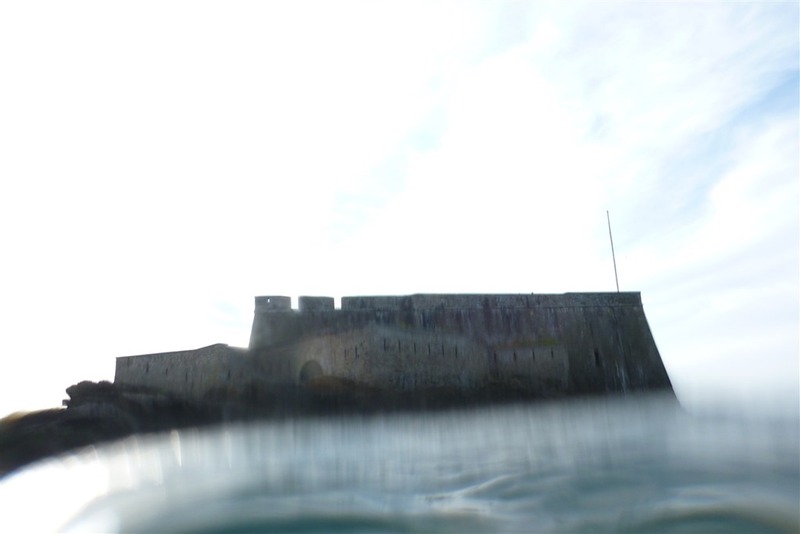 And sorry for the blurry photos, apparently my photography skills this day lacked the finesse of the day when I got that awesome shot mid-way through the swim at Alcatraz. I was able to see my distance pretty easily on all the watches as I went along, just by slightly twisting my wrist while underwater during the glide portion of the stroke. Eventually I reached what is on the below photo about half-way through that rock garden (except at slightly higher tide). It was roughly there that I noticed this brick wall underwater. As you can see, the water is actually fairly clear (clearer than my camera makes it look). 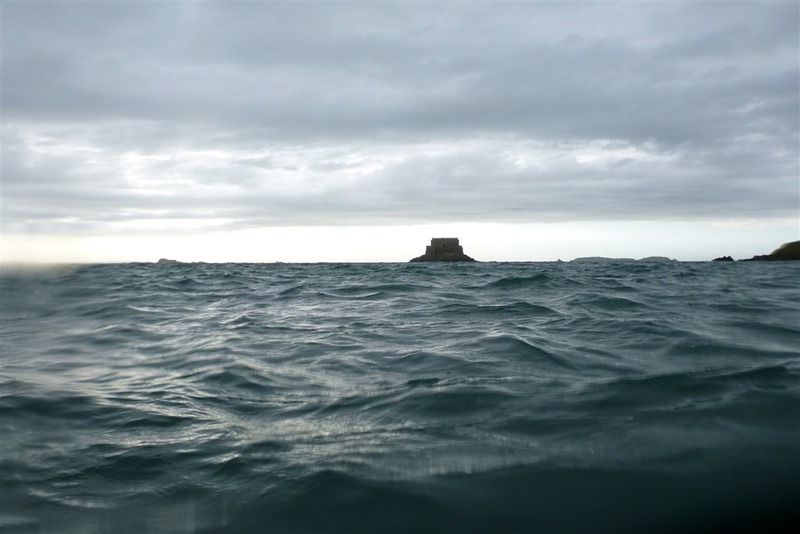 In fact, during the entire swim I could easily see the bottom. In some cases only 6-10 feet below, and in other cases 20-30 feet down. 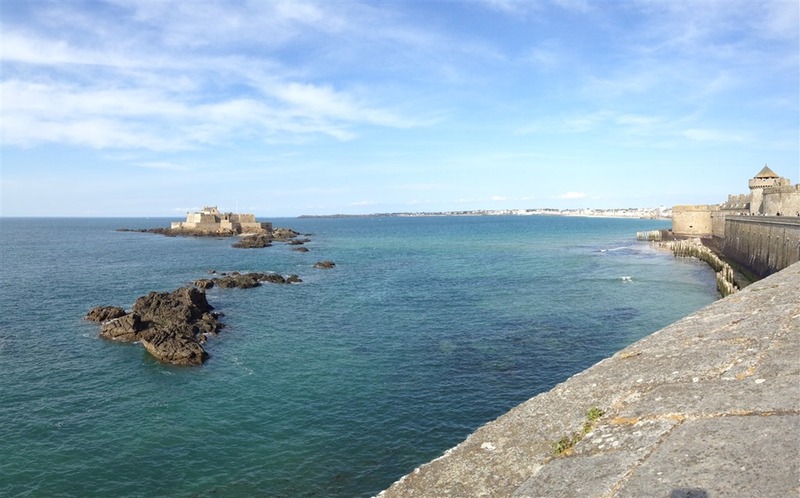 And here in this panorama photo I took looking at the fort, you can see the pool as well. I could easily touch the ground here. And walking might have been faster (though, I swam). At this point I was just keeping along the shore. 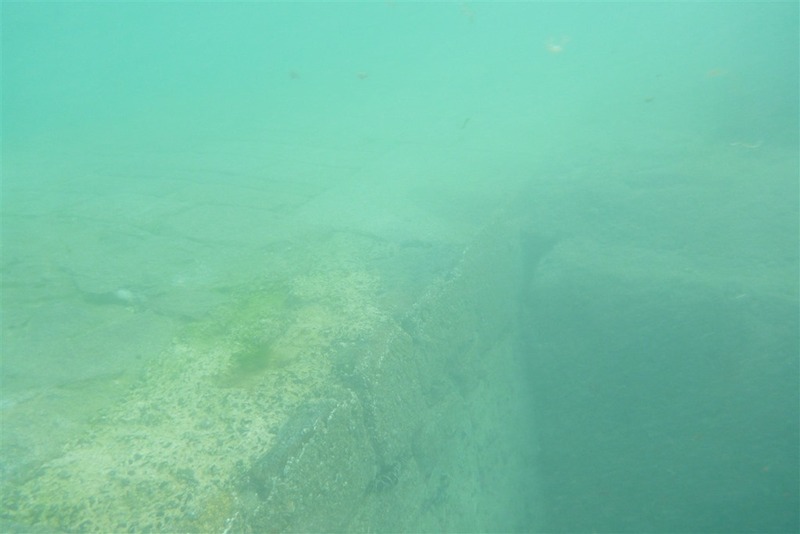 Though, in order to be in deep enough water I had to be out quite a ways from the wall, perhaps a hundred yards or so. And even then, over just the course of my 40 minute swim the tides went out quite a bit. The above photo appeared to cause much confusion on Facebook, for reasons that are still slightly unclear to me. So here’s the play-by-play. 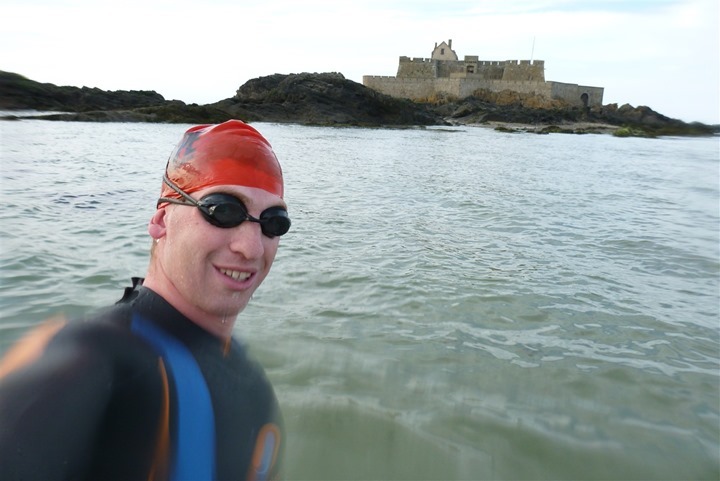 1) I wore the Garmin FR610 in my swimcap, this is tried and true for getting the most accurate data on a swim. 2) All the other watches were worn on my wrists. 4) Thus, in this particular circumstance the Bryton unit was the most accurate. Obviously, that accuracy may change from swim to swim. We’ll see. I didn’t wear the Garmin Swim because it’s a pool-only watch. 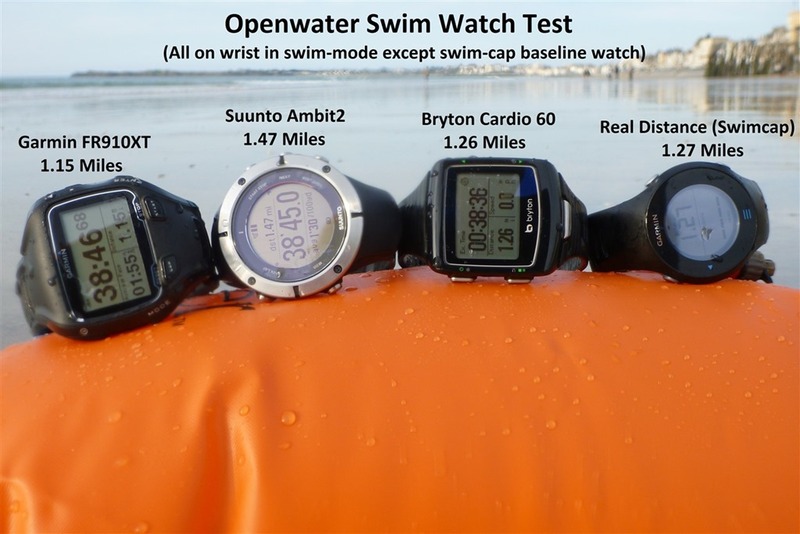 All of the above units on my wrist can capture stroke/distance information while outside using GPS in openwater. 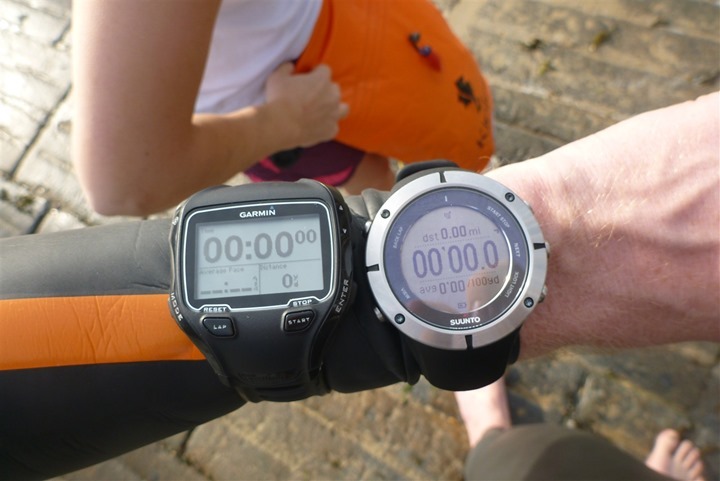 The FR910XT and Ambit2 can also capture pool information, but the Bryton unit cannot. Make sense? Good. The next day I did decide to go swim to a different fort, this one a bit further out across a bit of a different channel. You can see it up on top of the island way off in the distance. Unfortunately, it was just after a storm system swept through and I got out a ways but the swells were pretty ugly mid-way through the channel (small Zodiac boats were actually catching enough air off the waves to leave the water), pretty significantly reducing my speed and making what would have been a 35 minute swim look closer to about an hour or so, ignoring the tides that would have been going out then (which would have made it even longer). So, I simply decided to play it safe and head back in. 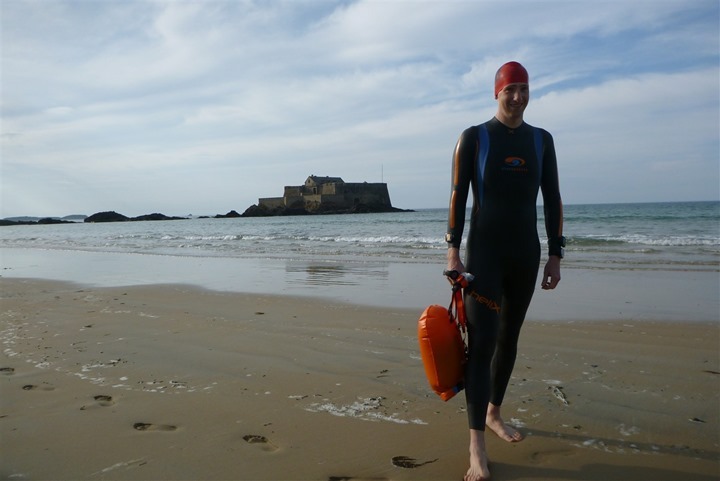 Here I am…walking home in my wetsuit (I think the air temperature and wind were colder than the water!). I put on a t-shirt in an attempt to make it look slightly normal as I walked through the walled city. Obviously, I probably didn’t succeed as I still got some stares. With that, thanks for reading! Tomorrow I’ll dive into the rest of our road trip in the region from a non sports standpoint. Have a great weekend! Nice swim. Looks you are training for crossing The Channel in due course. 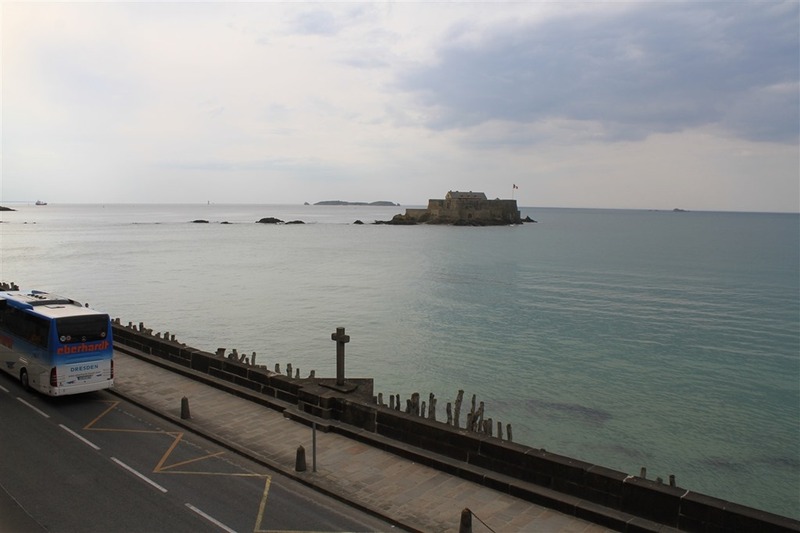 In st malo old town (inside the walls) there’s a cafe called Timothy’s (sort of at the end of the high street). You have to visit to see the cakes. I think I counted 12 layers of sponge on one last time I went. Call it a business research trip for the cupcakery…! Genuinely can’t wait – I thought that place was the creme de la creme! 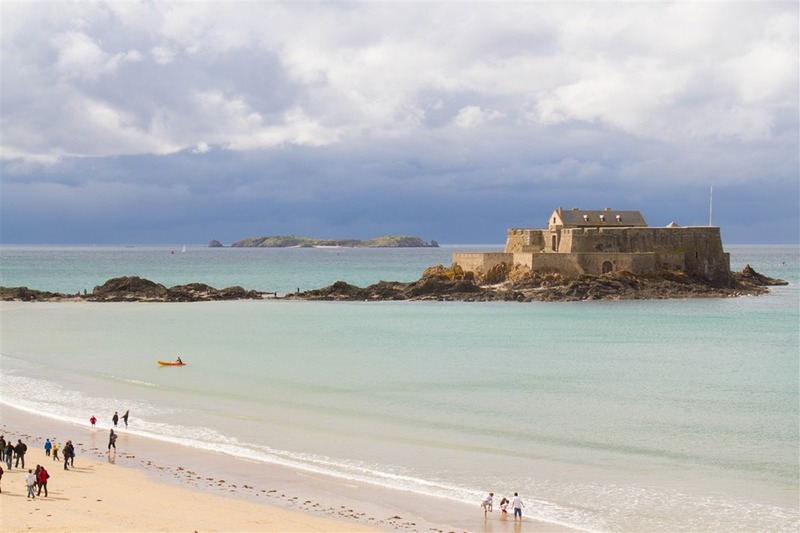 I’m only about 35 miles away in Jersey – a holiday in St. Malo is about as easy as it gets for me. The only downside is that when running, i found i tended to run out of pavement pretty quickly (in most directions), and i’m not all that confident what the rules are like on road-running in France. Awesome, it’s a great area. 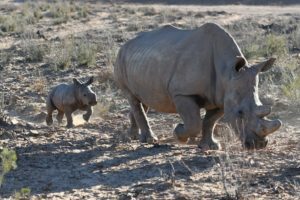 We really loved it (and can’t wait to go back). 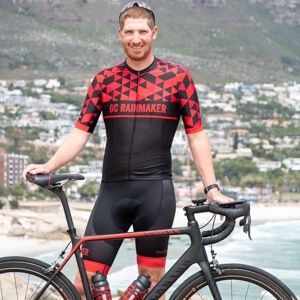 We found the same on the running side, I was lucky in that all my running workouts were shorter bike/run bricks, so I was able to mostly keep on the main strip doing large loops without it being to bothersome. But a long 20-mile or 30K run would have been more challenging. I know there will be an update soon for the Bryton 60 that will enable it to record indoor swimming. Will keep you posted. 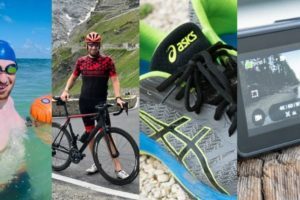 Your reviews are fantastic, love the fact you are doing it all, run, swim and ride, the only way to properly get to know any product. Any update on this indoor swimming update rumour? From my talking with them, it was going to be focused on a new unit – not updates to existing units. I always have mixed feelings when I see a watch battle with garmin 910xt. 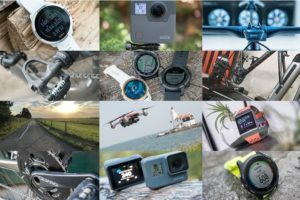 as a 910 owner I´m usually happy wathing the 910 beat it´s rivals, but then I think garmin won´t release a good update (as you saw at their home). Interestingly I have to say that as a 310XT-under-the-swimcap user I ahve come accross occasions where teh 310XT seemed off in distance! BTW, you should publish the safe-swimmer review. I got one as well and a lot of people ask me about it. It is a fantastic “tool”. Oh and I heard you can put your GPS device in the safe swimmer to measure data, haven’t tried it yet, though. I have a co-worker that does that (put it inside). I’ve pondered that too. Might stick yet (another) unit inside one and compare to swimcap, just for fun. 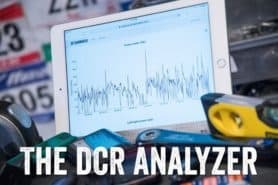 Did you use the same set up for data collection on the second swim? If so how did the distances compare. 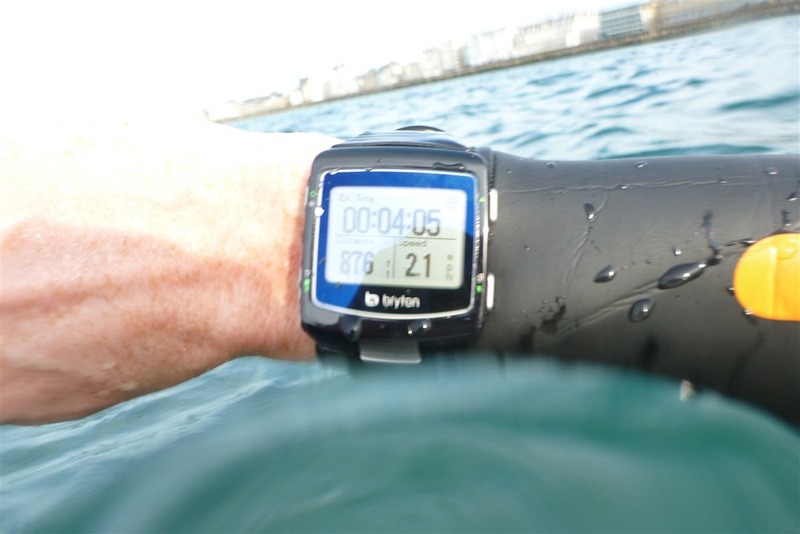 I am a owner of the garmin 910xt and was a bit disappointed to see that the Bryon was more accurate on day 1 swim. Just wondering if the second day swim had similar results or not. 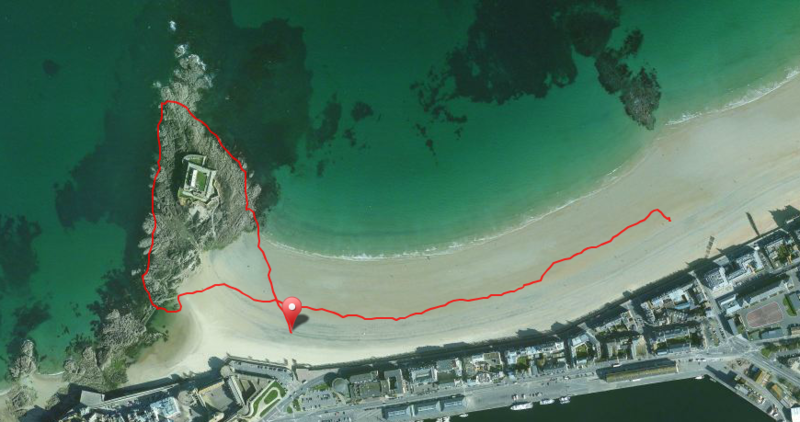 The second swim ended up being fairly short (only a 1/3rd of a mile), so it’s a bit of a short sample. The numbers for the FR910XT and Bryton were within .01 of each other, but both were short of the FR610 by a bit (.05). The Ambit was high as usual. I’ve got a bunch of swim opportunities over the next couple of weeks with trips that I’ll be diving into it more. Me too! Planning on writing it up. It’s a quick one. i was just thinking of using a lifeguard’s buoy when i wanted to go for an open water swim, and you post this about Safe Swimmer buoy! could it help me stay afloat when i get tired? and where do you tie it on you during your swim? It loops around your waist, sorta like a seatbelt. 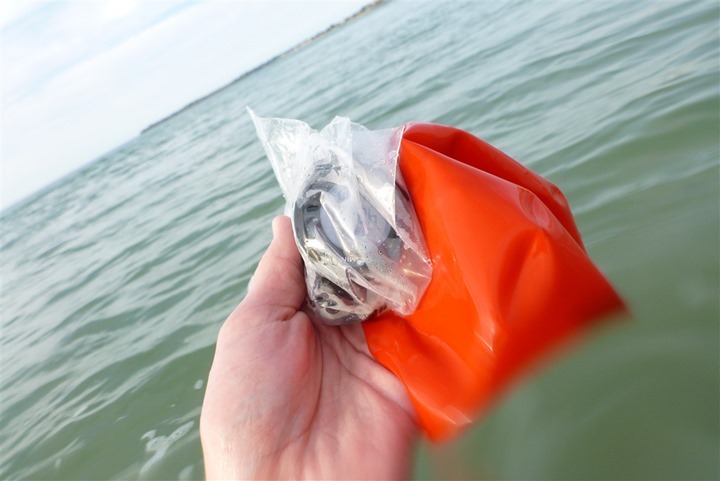 It’s not a lifesaving device, and while it will certainly help you stay afloat some if you hold onto it, it may also go slightly under. I’ll ask and see if it’s easy for them to stock. Good idea! I would say that the safe-swimmer review has already been published in your blog. Didn´t it go away when you moved to the new site setup? I have it on my wish-list simply because I read about it here quite a while ago. I had taken photos and everything at the same time, but somehow never actually wrote anything up otherwise. I checked the old site too, definitely didn’t write it. No worries, gives me a post to write! 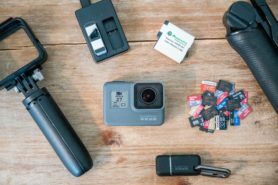 Do you know what the GPS chipset using on Garmin and Bryton. 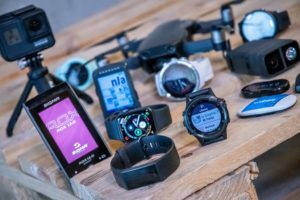 I found Garmin use sirf star III chips, but don’t know what is Bryton? Not sure offhand, but I’ll be sure to include it in my review. Fyi, I found out that Bryton use ublox, Garmin use sirf star III, and the BH625 XT using sirf star IV. Per Bryton, BH625XT is most accurate than ublox and Garmin sirf star III, you may take a look. Love it ! 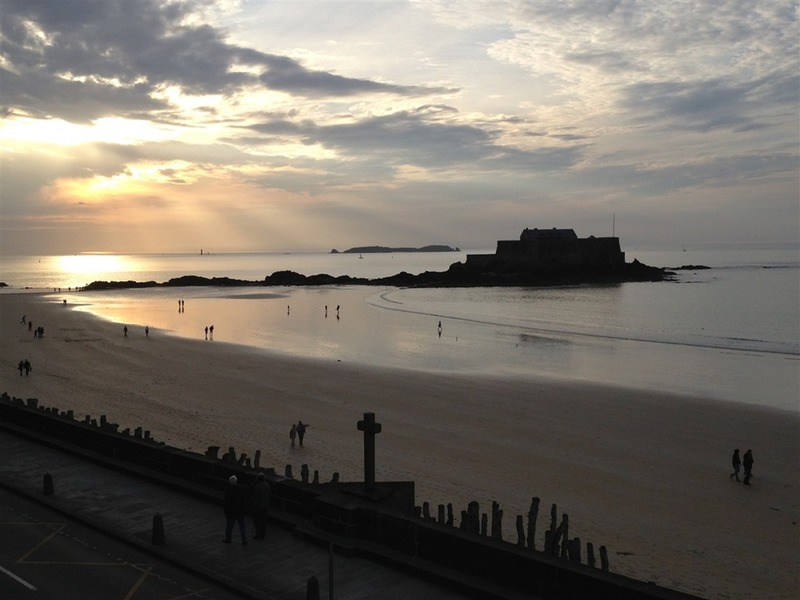 And St Malo is such a nice city…. It looks like you went in May my wife (“The Girl”?) 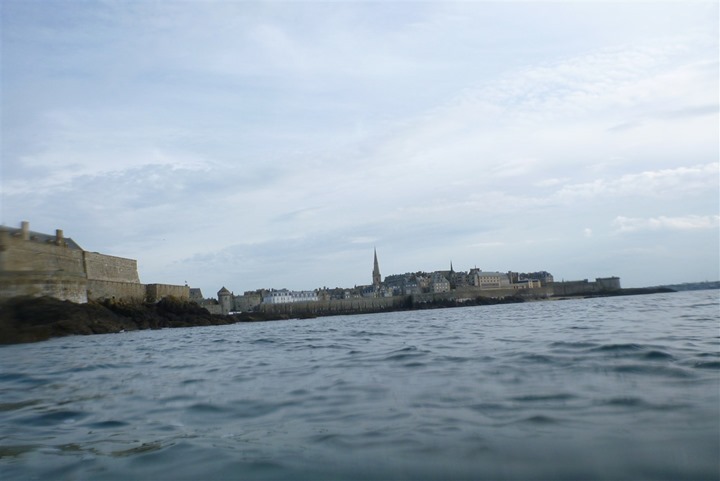 and I swam out to the castle in July (a week back) and it was showing about 17 degrees Centigrade – no wetsuit. 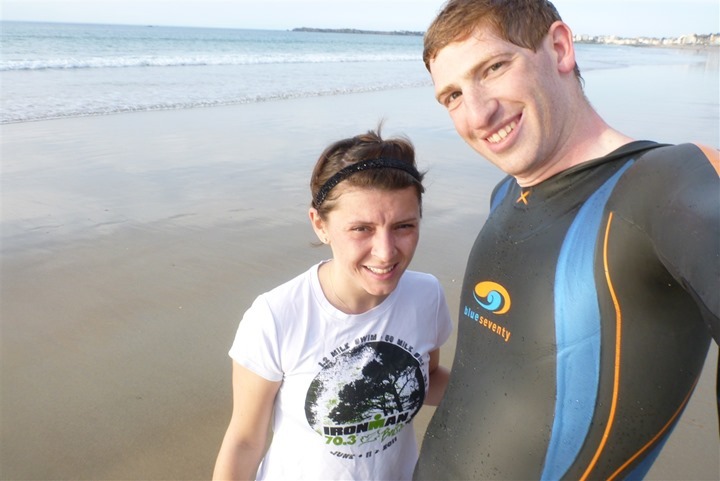 I assume you guys used a wetsuit!! Ah the benefits of being used to British weather!. That Safer Swimmer swimming buoy looks like a great idea though. 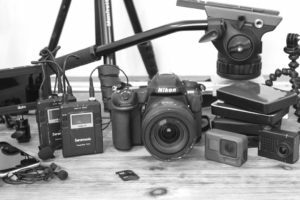 Is that more for visibility than emergency buoyancy?